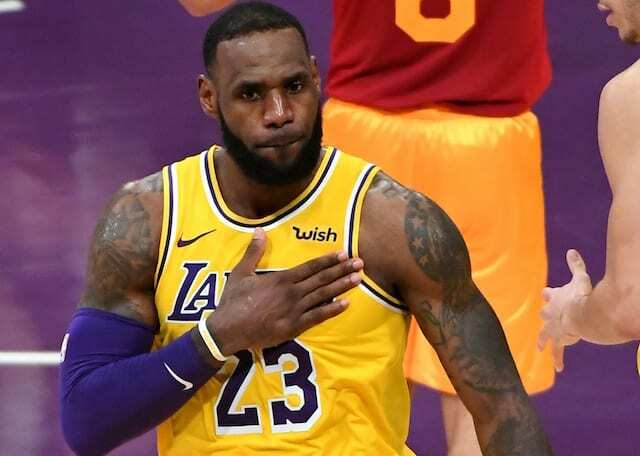 While the Los Angeles Lakers laid out a plan to avoid becoming too reliant on LeBron James, his usage rate has increased in the time Rajon Rondo has been out while recovering from hand surgery. 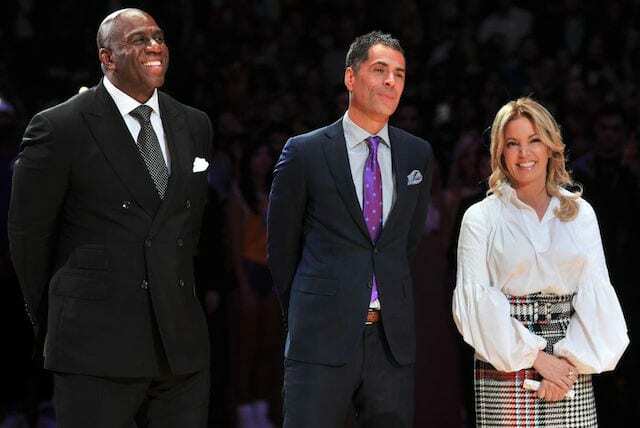 That factor was recently raised by Kobe Bryant and Lakers president of basketball operations Magic Johnson. 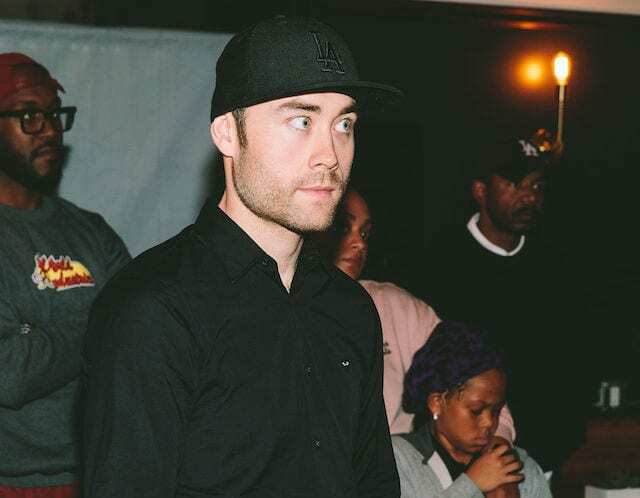 Speaking at the 15th annual Lakers All-Access event, Bryant noted James taking on more to keep the team afloat was necessary for the time being. But the five-time champion explained it was not necessarily a sustainable model for long-term success. 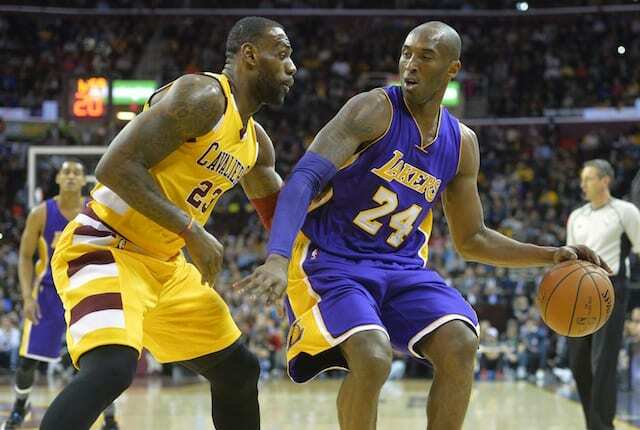 Meanwhile, Johnson said the Lakers want to avoid playing in the mold of James’ old Cleveland Cavaliers teams. James didn’t necessarily disagree with the two franchise legends, but he also maintained confidence in his ability to do whatever is necessary. “I don’t know what asking me to do too much is, to be honest. I just play my game,” James said after Tuesday’s practice. “I understand the logic behind it, and I understand what Magic and Kobe are saying, because we want to continue to grow the young guys. We want to see how much our young guys can grow and be the best they can be. “Magic and Kobe know who I am. I know who I am. They know what they’re going to get out of me. You know what you’re going to get out of me every game. Am I going to play well every game? Am I going to shoot the ball well every game? No, but you know who I am. When it’s really, really, really money time, you know who’s going to be there. James added his competitive nature lends to a desire of playing 48 minutes each game. “But it’s not going to happen. It’s not smart. It’s not smart on anybody’s behalf,” he acknowledged. 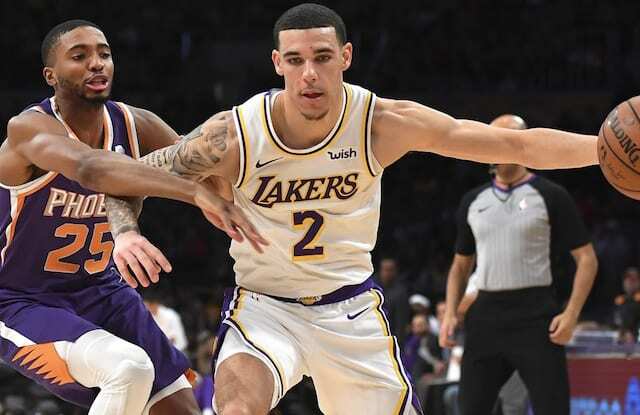 The 16-year veteran, who previously admitted he’s handling the ball more than he anticipated, is nevertheless mindful of allowing the likes of Lonzo Ball, Josh Hart, Brandon Ingram and Kyle Kuzma to grow as players.